Our favorite South Korean automaker always has something new and exciting on the way for all of us and, this time, it’s a new vehicle sure to redefine your idea of a smooth and enjoyable ride. It’s called the 2018 Kia Stinger and this gorgeous sedan has a lot to offer anyone with a love for the open road. With a striking design, that is the perfect mix of luxurious and sporty, exceptionally nimble performance thanks in part to the new Dynamic Stability Dampening Control suspension, available all-wheel drive, a 3.3-liter twin-turbo V6 engine kicking out 365 horsepower, and more, you’ll never want the ride to end. 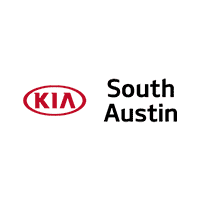 While we wait for more details to arise about the 2018 Kia Stinger, we welcome one and all to come out to our Austin, TX dealership and explore the current lineup of new Kia models. No matter which one appeals to your wants and needs, you’ll be making an excellent driving decision.